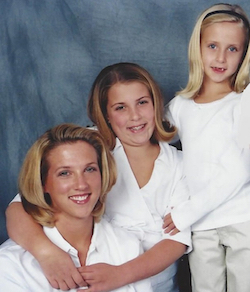 Tina Meier fights cyberbullying in memory of daughter Megan (center). Dr. Mona Hanna-Attisha, a young pediatrician, put the welfare of children ahead of politics in Flint, Mich.
U.S. Senator Al Frankenadvocates for every American’s right to a day in court as a leader in the fight against forced arbitration. Daniel Carder and his research team at West Virginia University proved to the world that Volkswagen lied to customers while causing irreparable ecological damage. Tina Meier travels the country to fight cyberbullying after her daughter Megan committed suicide. Children Lead poisoning from drinking water in Flint, Mich., has been found in 27,000 children, exposing them to potential learning and behavioral disabilities. Workers Thirty-six million employees, or one-third of the U.S. nonunion workforce, have forced arbitration clauses in their employment contracts. EPA Safe Researchers studying diesel auto emissions found that software installed by Volkswagen covered up nitrous oxide levels up to 35 times EPA standards. No Judge, No Jury: No Justice? U.S. Senator Al Franken speaks to CNN about the rigged system of mandatory arbitration clauses. View video. Tina Meier tells the story of losing her daughter Megan to cyberbullying and suicide. View video. According to the Environmental Protection Agency (EPA), only nine states have safe levels of lead in their water supply. View video.